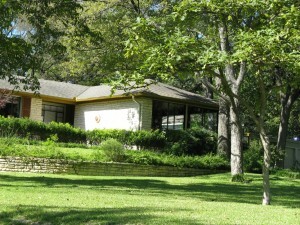 If you’re in the market for an Austin style classic ranch home on a spacious lot, Wilshire Wood/Delwood I might be the place for you! The beautiful park-like setting of the neighborhood is evident today with a short drive along streets named Ardenwood, Crestwood, Parkwood, Lullwood and Wildwood. Minutes from downtown, many of the homes are still occupied by the original owners and showcase lovingly tended gardens along tree-shaded streets. As new families move into the area, the homes also reflect the current interest in green building and environmental programs making Wilshire Wood a great place to call home! Encompassing a tiny pocket of curving, tree lined streets, Wilshire Wood was billed as the Tarrytown of the eastside when it was developed in the years between 1941 and 1950. An advertisement in the May 25, 1941 American-Statesman, marketed the first lots for sale with the following description: “Beautiful beyond belief! …a neighborhood of wide rambling houses setting far back from the street in the middle of spacious, tree-shaded lawns.” Originally developed by Bascomb Giles, former Texas Land Commissioner, Wilshire Wood \Delwood I boasts one of the oldest homes in the vicinity. 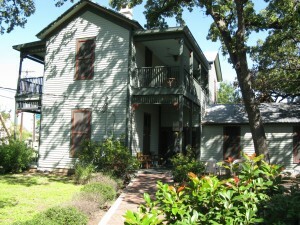 The Wright house, a two-story Victorian home on the grounds of St. George’s Episcopal Church, was built in 1870 and later became the Giles family home for over 50 years. Giles also developed the neighboring Delwood shopping center, duplexes in the Maplewood school area and blocks of homes in the Cherrywood neighborhood just south of 38 ½ street. Homes in Wilshire Wood and Delwood I were built during and after World War II. The homes are an architectural blend of native Texas limestone ranch and wood-framed cottage style and are beautifully situated on quiet cul-du-sacs or wide rambling streets. Ranging in size from 1,500 to 3,000 square feet, these homes are considerably larger than other area homes generally feature at least three bedrooms and two baths. Large kitchens, dining areas and second living areas are the norm and there is usually room on the lot for a pool, if there’s not already one there! Prices range from $250,000-$400,000 with most home selling in the mid to upper $300s. Although Wilshire Wood/Delwood I is a relatively small area, the central location makes it a big hit for area attractions. 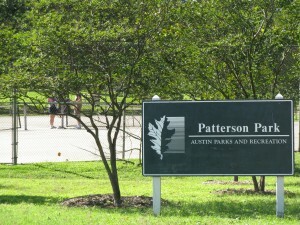 Located within neighborhood boundaries is Patterson Park, which hosts the Parr Tennis Center, playground, covered picnic area, walking trails and a skateboard tube. Immediately north of the area is the new Mueller shopping area which includes Home Depot,and other familiar shopping destinations. The Delwood Shopping Center to the south, hosts Fiesta Mart, an international style grocery market, and numerous dining opportunities. 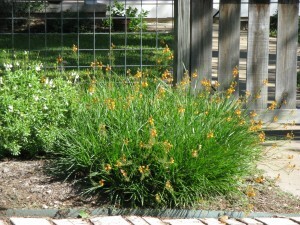 All in all, Wilshire Wood, Austin Texas is a great place to consider when searching for your next home!